We are very fortunate here at Clapgate that we have an outstanding musician who comes into school 3 days a week to work with our children. During these days, Josh delivers guitar tuition to a number of children for 30 minute sessions. This is on a termly basis but the majority of children have continued their lessons for additional terms and some have now been learning the guitar for a number of years. We are pleased to inform you that we currently have 12 children learning how to play the guitar and are hoping that some of these children will perform in an assembly over the coming months to showcase their musical ability. We are also fortunate that we another music teacher who comes into school once a week to work with our year 6 pupils. 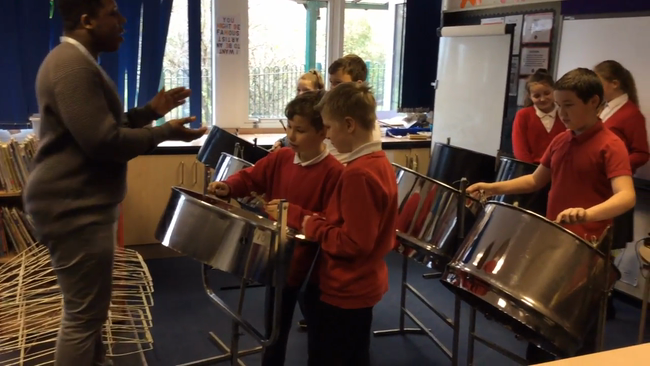 Jermaine spends an hour with each of our year 6 classes and teaches them how to play steel pans. These are very full on sessions and can also include the use of African Drums and glockenspiels. The children love making music as part of small groups and have performed at school carnivals and as part of assemblies and school fairs. On Friday 25th January, KS2 were treated to a very special performance by Helena in 6NW, who showed us all what she had been practicing during her guitar lessons with Josh. 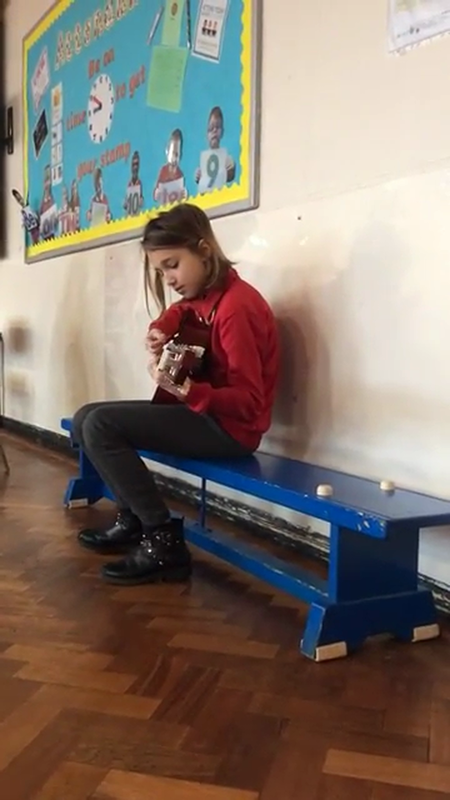 Sitting in front of all her classmates and over 200 children from KS2, she sang her own rendition of Wonderwall by Oasis. The hall was silent and gave her a loud cheer and round of applause for a thoroughly brilliant performance. Everyone was really proud of her! 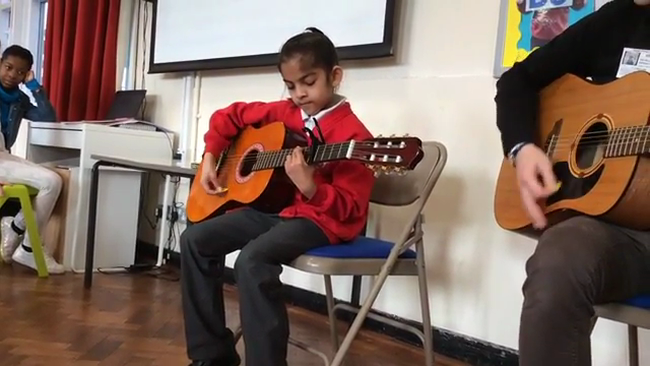 On Friday 15th March, during KS2 assembly, Hanna from Year 5 and Sonakshi from Year 4 performed Wonderwall to a stunned audience. Both girls, along with Josh for support, had the entire hall spellbound with their outstanding playing and singing. Everyone was extremely proud of them.